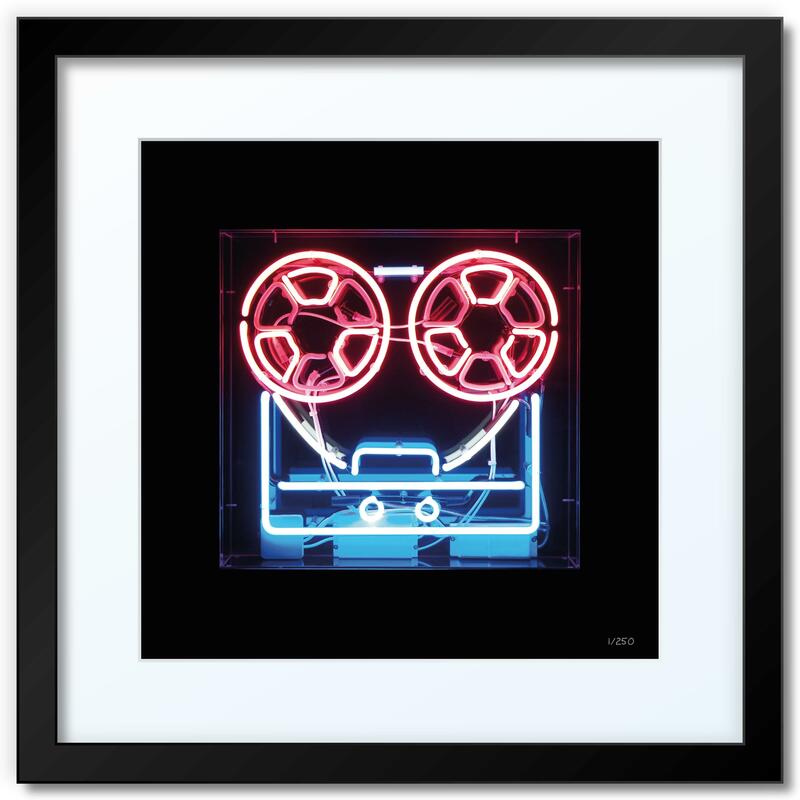 The iconic Revox neon immortalised in a beautiful 15 x 15 inch archival print on professional photographic stock - Fuji Crystal Archive paper is the industry standard for fine art prints, offering the very highest quality. The Revox is synonymous with Soft Cell, and this reproduction, based on the classic B77 model, was built by neon artist Andrew Smart. It has been used extensively throughout the Keychains & Snowstorms campaign on TV appearances, on the cover of the Keychains & Snowstorms boxset, and at the acclaimed O2 show in September 2018. Photographed by David Chambers in London in April 2018, this print is offered in a strictly limited, individually numbered edition of 100 total, signed by Marc Almond and David Ball. The mounted and framed version of the print is available at a cost of £225. This must be collected from Soft Cell HQ's London office (Mortlake, SW14) as we are unable to safely ship glass via courier. We suggest that those unable to collect a framed print purchase an unframed print and have it framed locally. Framed versions are 22 inches square, with the frame in matt black, a 3 inch white border mount, and the print itself is 15 inches square. Please note that the mock-up photo is computer generated, and the finished product will be far more striking! The perfect memento for the discerning Soft Cell fan to round off the Keychains & Snowstorms campaign, this piece of highly-collectable art will stand the test of time and provide pleasure for many years. For an unframed version of the print click here. Please be sure not to order any other products in the same order as the framed print, please raise separate order(s) for any other items.